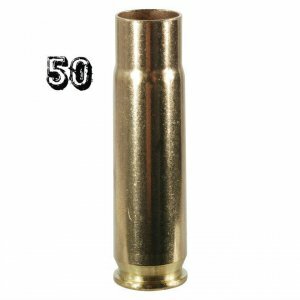 40 S&W Nickel Plated Brass - Detroit Ammo Co. : Detroit Ammo Co.
1000 pieces of once fired Nickel 40 S&W brass mixed headstamp. 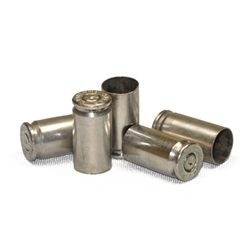 This brass comes from indoor ranges and may have minor dings, dents or slight imperfections. 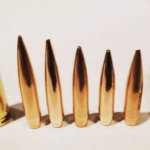 Most flaws can be easily removed upon resizing or will be shot out upon the first firing. This brass must be full-length sized and deprimed before loading the first time. Other than removing the obviously damaged pieces this brass is unprocessed. If you choose for us to to clean and polish your brass. We will tumble them in stainless steel media. If you choose for us to recondition your brass. We will full length resize, deprime, and swage the primer pockets, then tumble them in stainless steel media. 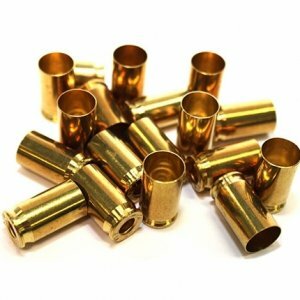 If you choose to have us prime your brass a Small pistol primer will be used. Brand of primers used may vary depending on availability. 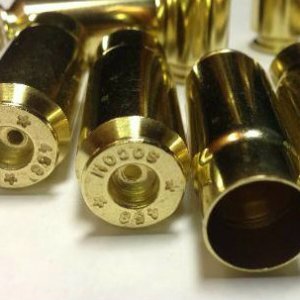 Primed brass will only be shipped via UPS and can not be shipped to a PO BOX. If we are reconditioning or priming your brass please add 3-5 days for processing.